On April 1st of this year, the football world lost Eddie LeBaron. To a prior generation he was remembered as a great quarterback that lacked the height to play the position at 5’7. 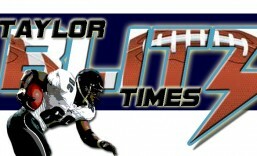 However in a career that spanned 11 years he was voted to the Pro Bowl on 4 occasions. Three times he made it as a Washington Redskin and once with the Dallas Cowboys. In fact he was the first starting quarterback in the history of the Cowboys. It’s ironic the player who gives the strongest testimony to LeBaron’s playing prowess is “Concrete” Chuck Bednarik. Not only was he considered one of, if not the toughest player during the 1950’s, but we just lost him just two weeks prior. 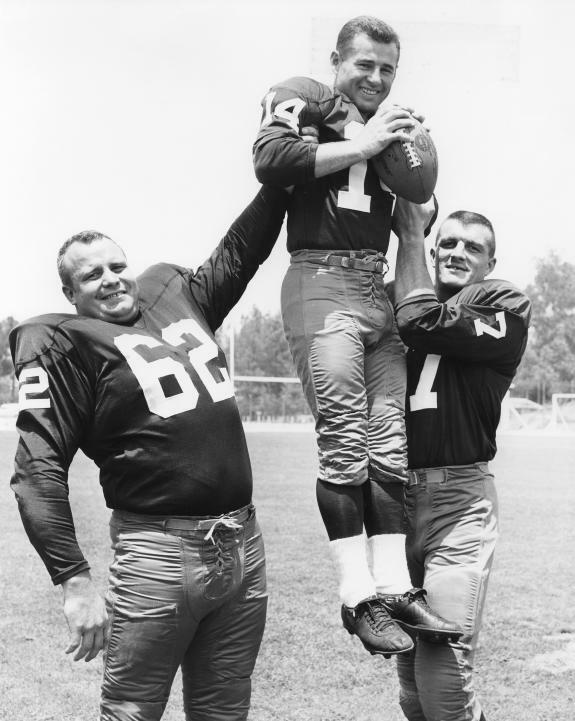 Like Bednarik, LeBaron had served our country as a Marine and fought in the Korean War prior to playing pro football. 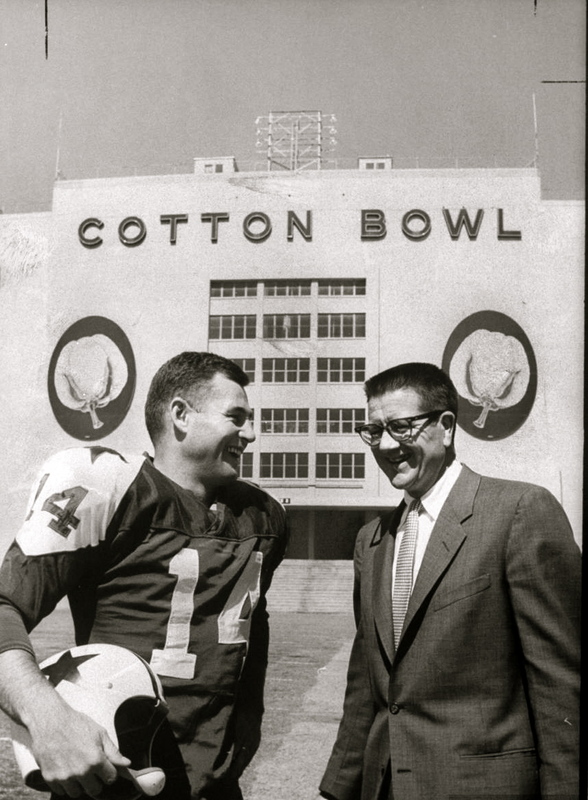 Eddie LeBaron pictured with 1st Dallas Cowboy owner Clint Murchison. In microcosm his story was an inspirational one to a generation of young men to fight on despite a lack of size. A father could drape his arm over his son’ s shoulder and tell them about Eddie LeBaron. Not only was he the first quarterback in the history of the Dallas Cowboys, he was a Pro Bowl quarterback for a large part of his career. Epilogue: As we lose these players, it’s personal to me because reading their exploits in books as a kid back in the 1970’s is what lit my fire about football. I was never one into comic books and fictitious heroes, it was always about real people and their accomplishments. This entry was posted in Unsung Players and tagged Aaron Rodgers, Adrian Peterson, Dallas Cowboys, Eddie LeBaron, NFL, NFL History, washington redskins. Bookmark the permalink. ← Indianapolis Colts – Super Bowl Favorite In the AFC? ?